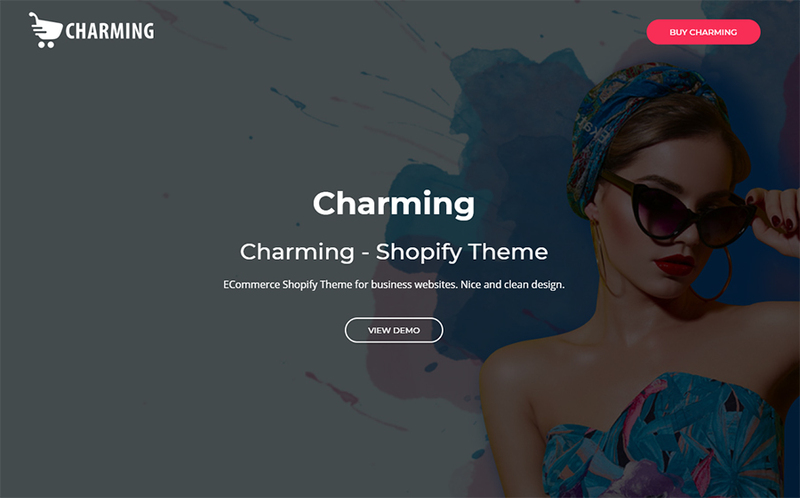 There are dozens of fashion Shopify themes, but I would like to show you the best ones. Just look at them and imagine what your clients will think of you if your website will be wearing such an “outfit”. The first thing strangers see when they meet you is your outfit. No matter what they say, people always evaluate you by the clothes you wear. Just think about it, your attitude to a guy in an expensive suit and to a biker wearing leather and chains will be completely different. Clothes are a sort of business card or Facebook account – it shows a lot of details about our work, interests and salary level. The same thing is with the website template. Visitors decide if they want to stay on the website according to their attitude to its appearance. 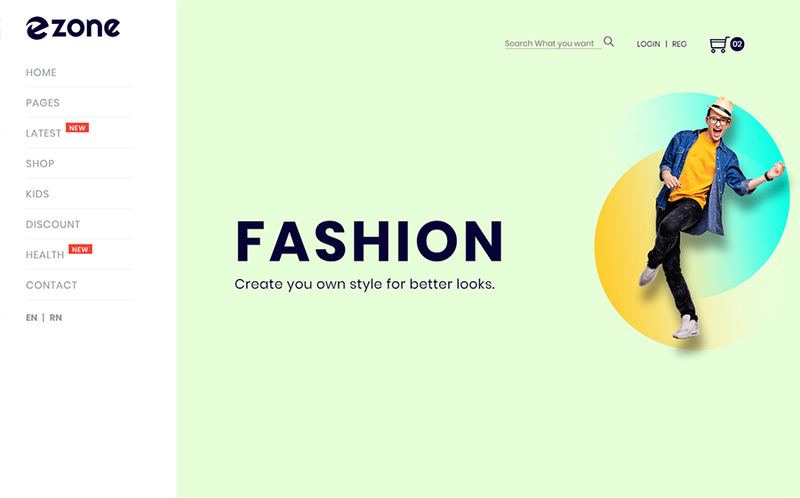 And therefore fashion clothes website is a kind of combo – it has to look attractive both as a website and as the place where the outfit is sold. 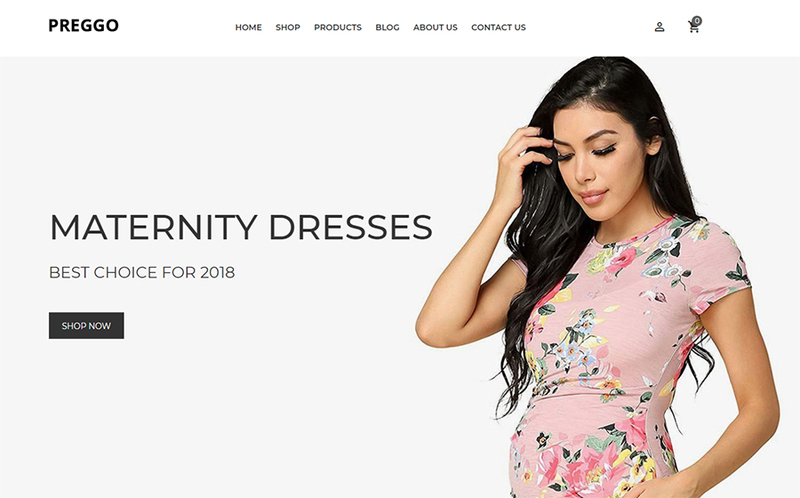 If you are or would like to be a proud owner of an online clothes shop, I would strongly recommend you to build it on Shopify. Why? Versatility. 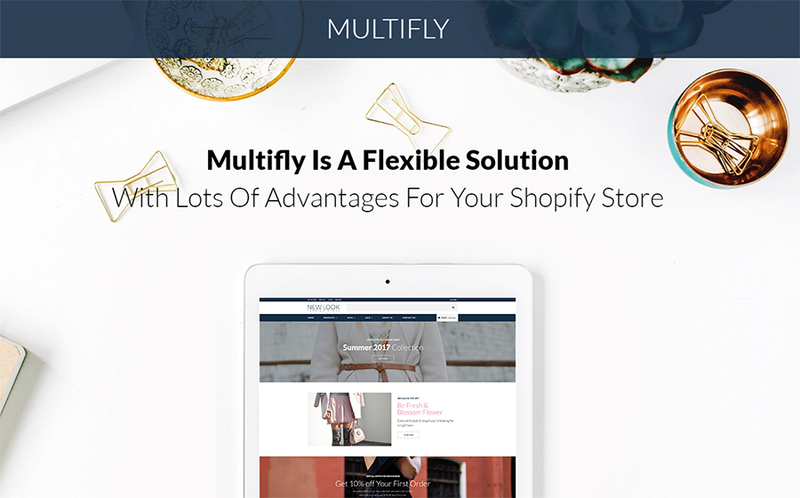 It doesn’t matter what are you going to sell – Shopify will be able to offer you a solution. Want to sell T-shirts – you will find a Shopify T-Shirt theme without any problems. Want to trade cars, healthy food, software, etc. – there will be a professionally created template to make the process easier for you. Convenience. Shopify was created to help business people to build their online stores. E-commerce is the only purpose and focus of Shopify CMS and specialized products are always better in a certain field than versatile ones. It has all the tools an online marketer could need. Simplicity. Shopify if fairly simple in maintenance – you don’t even need to read documentation; the controls are intuitively understandable. Design customization, adding and sorting the products, shipping, and taxes – you will get along with all the functionalities really quickly. 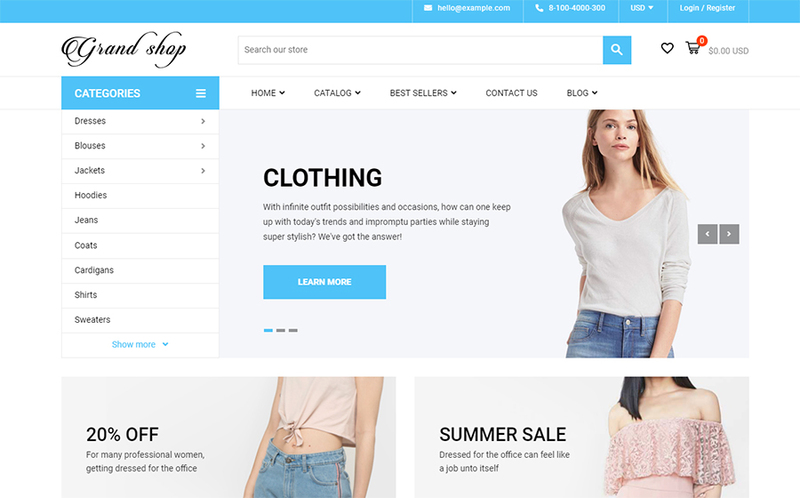 It won’t be a problem to sell, literally, anything with this multipurpose Shopify theme, but as we are talking about clothes, you should know it has a separate skin for a fashion store. The design is just perfect – strict but elegant, with lots of space but without the feeling of emptiness. The template has a Multilanguage and multicurrency module which gives you an opportunity to expand your reach to the abroad customers if you would like to. There are a built-in Instagram feed and convenient social media buttons, so you will be able to grow your audience on Facebook, Instagram, and Twitter really fast. This template is very accurate and sophisticated. It has two different skins for clothes stores – a classic and urban fashion one. All the most popular modern features are used here – smooth parallax effect, fully responsive design that will look great on screens of every size and of course a big and original slider. The template is easy to navigate because of the drop-down mega menu and wise sorting options. The customer won’t be wasting his time searching for some item – AJAX search will intuitively do everything for him. The lookbook at the end of the page will entertain the visitor and show the best products featured in the classy photo, used in the website design. The clothes for everyday use don’t need a luxury surrounding with complicated animation effects and pompous work of art on the background – it will look strange. This simple and practical template has everything the clothes shop needs and nothing redundant. Perfectly understandable menu with convenient categories will help the customer to find the desired item quickly and “Bestsellers” block will help if she is not really sure about what to look for. Bright and catchy tags will help you to mark the newcomers, the products that are on sale and those that are out of stock. 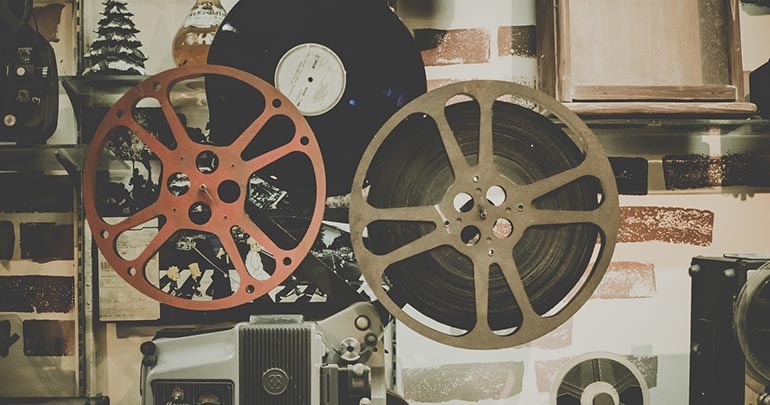 It is cool to be a little hipster-ish nowadays, even if we speak about the website template. Templates that were created for clothes stores often have a design that suits perfectly to some of the fashion styles and that makes them profitable and efficient. However, this template has not only a great design but also lots of convenient and useful functionality. Great QuickView, that shows all the necessary information without going to another page, grid and list types of products sorting and flexible layout system makes it a perfect tool for the fashion business. There’s nothing more stylish than a black & white color scheme – it fits simply every occasion. Monochrome is used for the classiest outfit (you haven’t forgotten the little black dress, have you?) and the most elegant accessories. 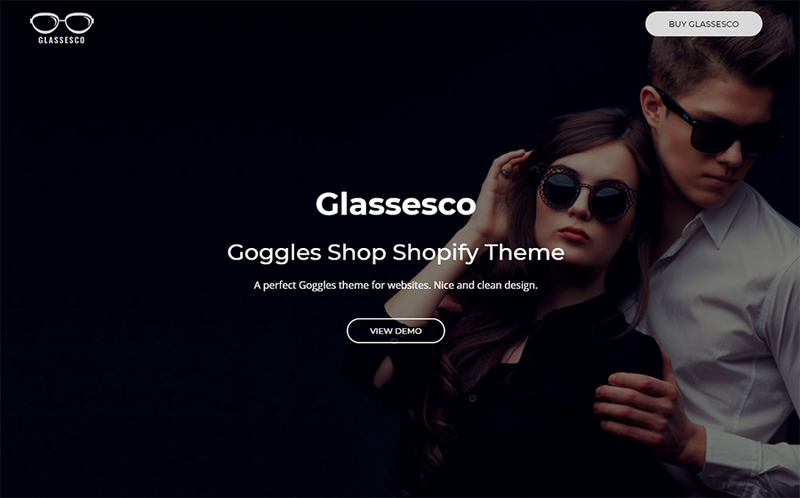 This template was originally created for sunglasses shop, but it will also be a perfect solution for the latest fashion collections or evening dresses. It will be easy to promote a website built on this template – it is not only well-coded but also has a newsletter popup and is exceptionally SEO-friendly. Such accurate and precise tools are a real pleasure to work with – you won’t regret using this template. Clear light design will never be completely rejected by designers because it is ideal for an online shop. White background perfectly focuses the viewer’s attention on the products and don’t allow a potential customer to distract from shopping. This template has two pre-made homepage layouts and a bunch of other pages’ variants, so it is quite flexible in customization. 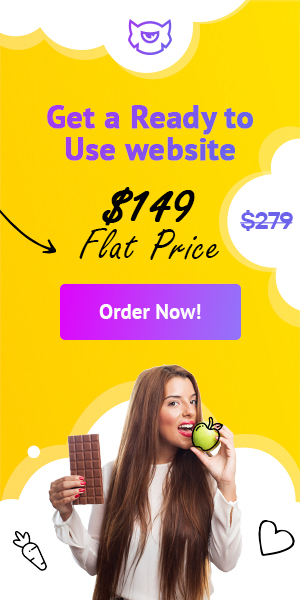 The design could be easily styled just drag-and-dropping elements to the workspace and thanks to the footer widget you will be able to change it according to your taste. This template’s design is really well-thought-out and targets the female audience, but will work perfectly for almost any type of women clothes. Underwear is a very important part of clothes, however, to sell it you will need a special website with bright design and photos that will show the quality of product and not the beauty of human body. Coxes Shopify template was created precisely for lingerie and has seven different skins, all of which were designed to sell underwear. The theme has mega menu functionality that will help you to show the customer all the categories your shop could offer and decorate them with pictures. Understandable icons and witty sorting options allow the client to navigate through the shop without any issues, which make shopping pleasurable. So getting this one template you get a big box of elements you can play with to build your own ideal website. 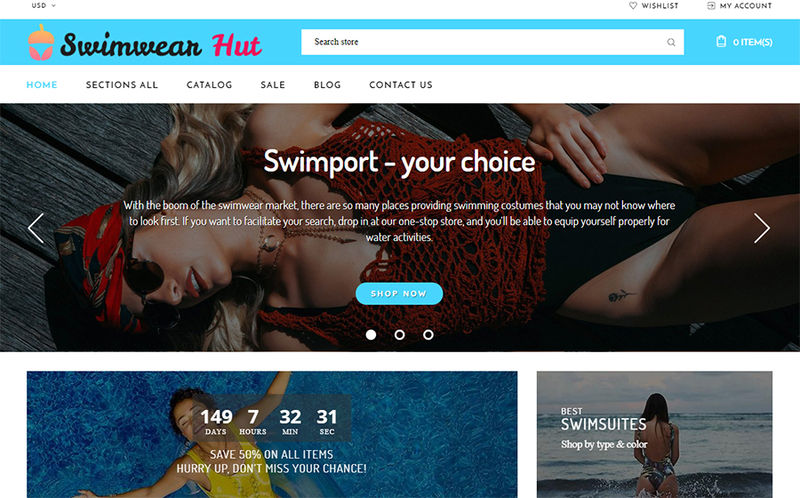 This Shopify template was created for swimsuits and its whole design makes the viewer feel herself on vacation somewhere on the beach under the heating sun. However, despite its focus on swimwear, this theme will also perfectly fit sports clothes and urban fashion. All the items could be sorted into understandable categories and then shown it the mega menu. And a handful of useful functionalities, such as countdown timer and different banners, make website owners life much easier. 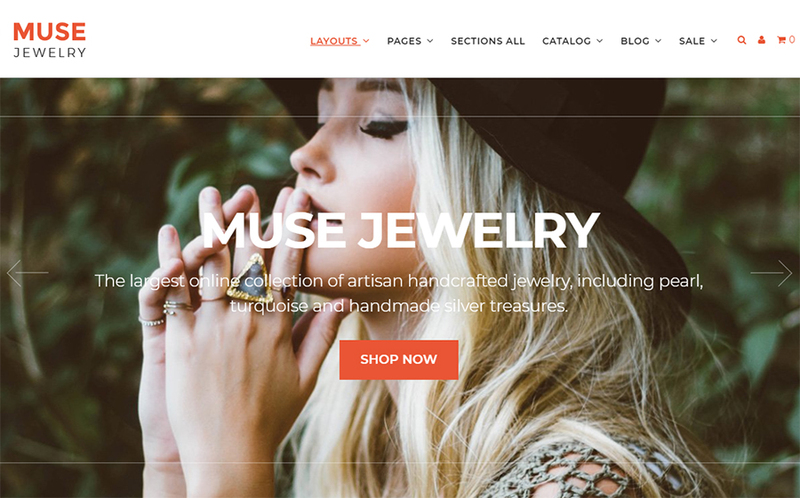 Of course, TemplateMonster has a lot more Shopify fashion templates, I listed only the best ones here. However, if none of it impressed you – don’t rush and take a look at other available options. Your website appearance should comply with your taste and the latest trends, so choosing process could take some time. In the end, when the perfect variant will be found, nothing will stop you from becoming successful!